In 2008, Dr. Banerji was the inaugural recipient of the Maulana Abul Kalam Shiksha Puraskar Award conferred by the Government of Bihar, India. 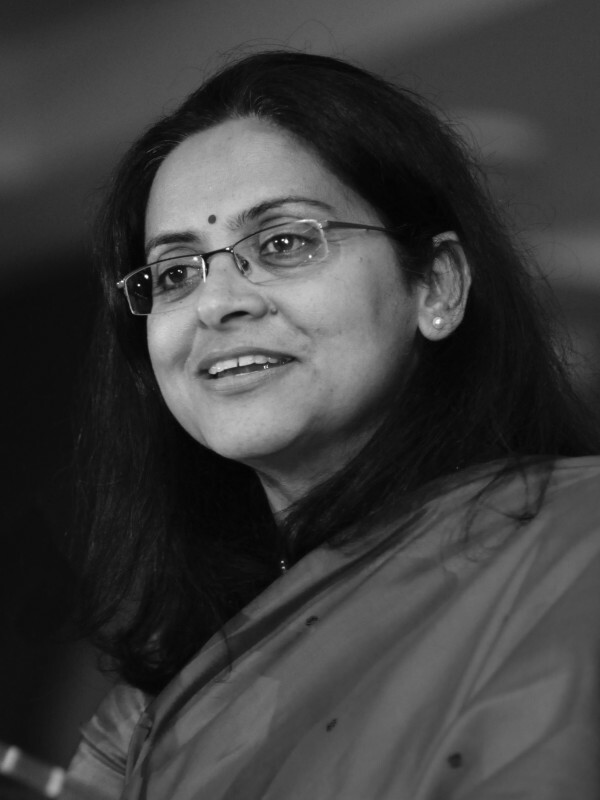 Over the years, she has represented Pratham and the ASER Centre in various national and international forums and is a member of committees both in India and abroad. She writes frequently on education in India and enjoys creating books and stories for children. “Improving Literacy And Math Instruction At Scale In India’s Primary Schools: The Case of Pratham’s Read India Program,” co-authored with Madhav Chavan in Journal of Educational Change, Volume 17, Issue 4, 433-475. November 2016. View article. “Mobilising Community for Better Teaching and Learning Outcomes: Field Experiments in Rural Schools,” in Claiming India From Below: Activism And Democratic Transformation edited by Vipul Mudgal, Chapter 12, 216-229. Routledge, India, 2016. View book. “Teacher Performance in Bihar: Implications for Education,” co-authored with Wilima Wadhwa and Shabnam Sinha in Directions in Human Development. World Bank Group Publications, Washington DC, January 2016. View publication. “How Do Systems Respond to Disruptive Pedagogic Innovations? The Case of Pratham in Bihar,” in RISE Working Paper Series. RISE-WP-15/002, October 2015. View article.